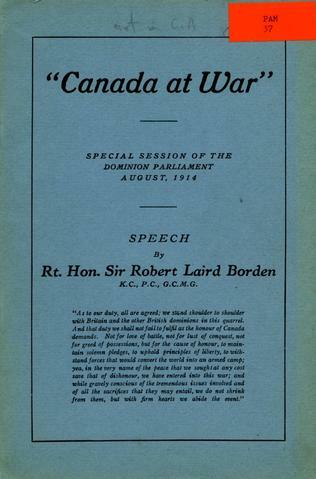 Item"Canada at War"; Special session of the Dominion parliament August, 1914: Speech by Rt. Hon. 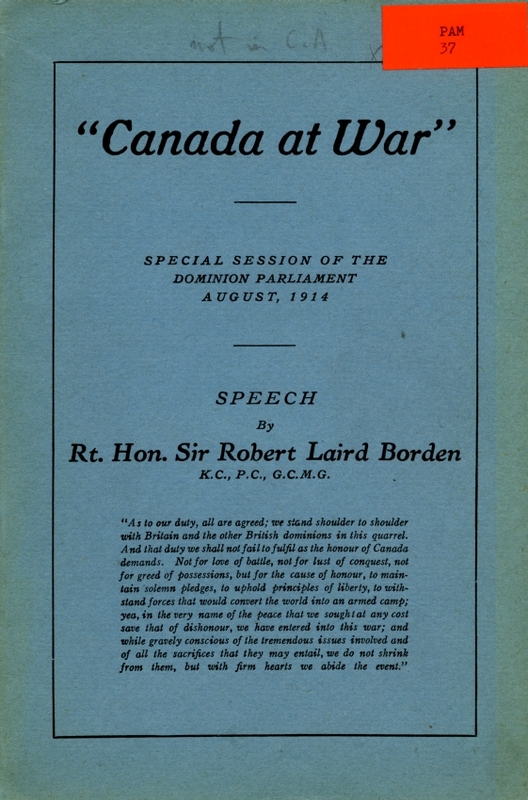 Sir Robert Laird Borden K.C., P.C., G.C.M.G. 1 pamphlet : 30 p.